Aloha, bonjour, Namaste. Welcome beloveds! We’re on this earth to live and love fully — to find what lights us up and share authentically with others. As we find peace within ourselves, we create a peaceful world. Yet, how often have we read an inspirational book or heard an exhilarating talk only to fall back into old patterns? Many people forget what brings them joy. They use food, alcohol and media to numb out when really all we want is to remember who we are. You can live more fully every single day. I am here as your companion and guide. This is your time to shine, beloved. I’m an Inspirational Speaker, Self-Love Guide and Feng Shui Master. One thing I know for sure: we can’t control all our life circumstances but we can find our unique destiny and let it flow through us. This is where magic happens. I see it everyday with myself, my family and this beautiful community. After twenty years in America, I followed my heart back home to Ireland. I spend my days empowering others to live their potential, creating conscious content and community for friends around the world, and frolicking through the Irish countryside with my husband and our two children. I also lead people like you through retreats around fairy forts, stone circles and magical castles in my journeys around Europe. Read more of my story here. When you sign up for our mailing list, you’ll receive my free meditation on how to follow your inner guidance, what I call your Golden Thread. Plus, I’ll deliver my latest Post and Podcast Episode to your inbox every Wednesday along with special tips I only share with subscribers. As part of your personal support system, I’ll wrap you in loving reminders, practices, meditations and laughs along the way. Do you have more time to listen to a podcast than hunker down with a big book? 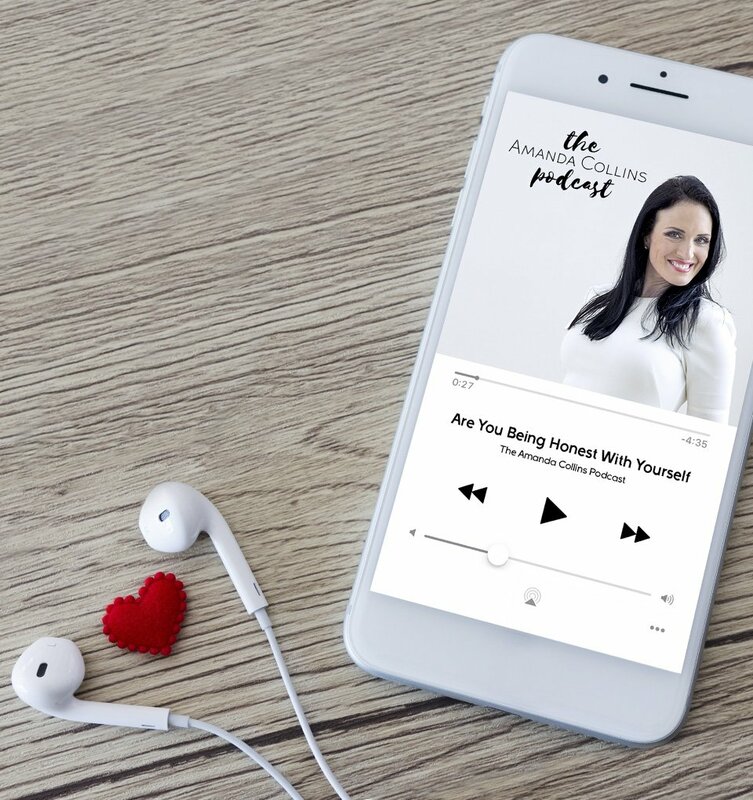 When you sign up for The Amanda Collins Podcast free on iTunes, you’ll get weekly episodes on how to live a more conscious life. I’ll talk to thought leaders about everything from diet to dharma, relationship to ritual, health to wealth, abundance to altruism, self-care to sacred space. You’re a valued part of the conversation so I’ll answer your personal questions too! Watch Yourself Transform with Amanda Collins TV. When I’m out exploring enchanted forests and beaches in the Emerald Isle, I feel so connected to divinity because I see beauty all around. I’ll share inspirational thoughts from the field and at home through The Amanda Collins TV. Each month, enjoy free videos on how to step into joy and live your most beautiful self. 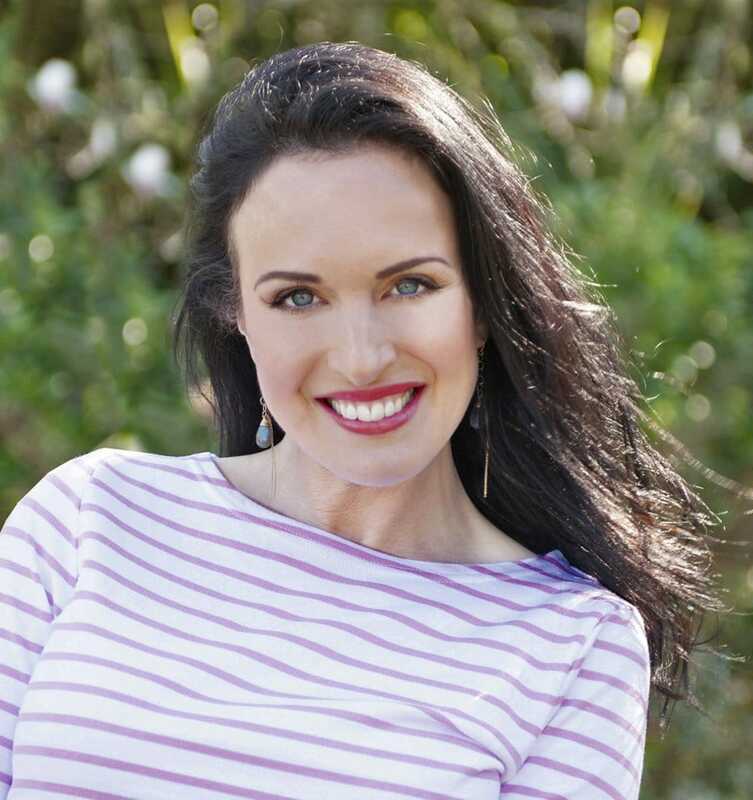 Whether you’re seeking direction, confidence, a career change, life partner or community, I invite you to drop limiting beliefs and create a joyful life tailor-made to you. 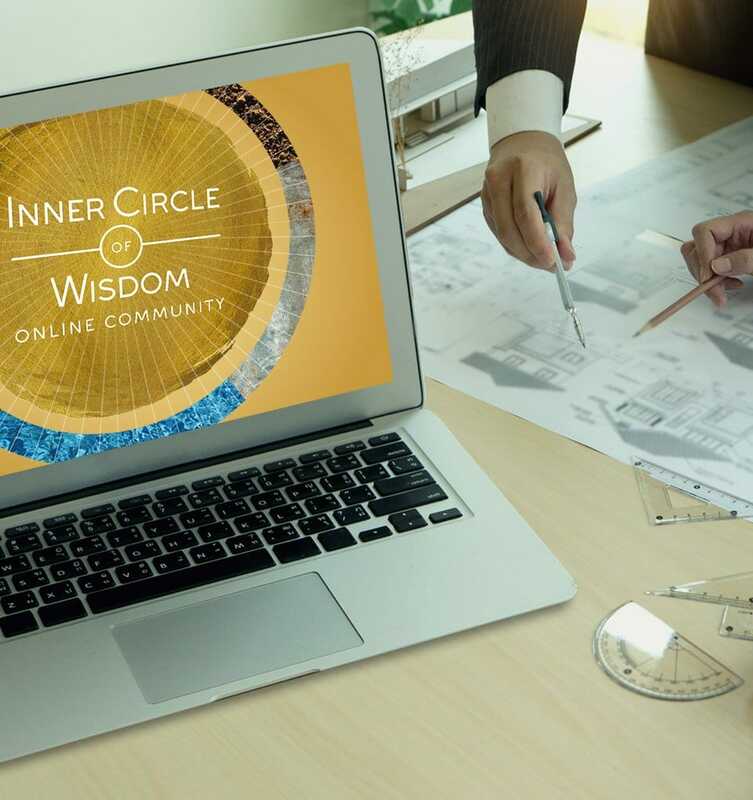 Join our Inner Circle of Wisdom. This is the place to transform your life and personal space into a magical, healing and supportive haven. Whether you’re new to Feng Shui or an experienced practitioner, the Inner Circle of Wisdom takes you to the leading edge of this sacred science. I offer beloved members two live webinars each month. We’ll chat with brilliant Feng Shui Masters around the world about home, business, relationship, abundance, health, beauty, sensuality, creativity and more! Join a thriving and loving community of hundreds of people through the private Facebook group I moderate. As a member, you’ll receive two new Feng Shui webinars each month, plus bonus webinars on conscious living. Ask your personal questions and connect with an exceptional like-minded tribe. Join live or replay whenever suits your schedule.